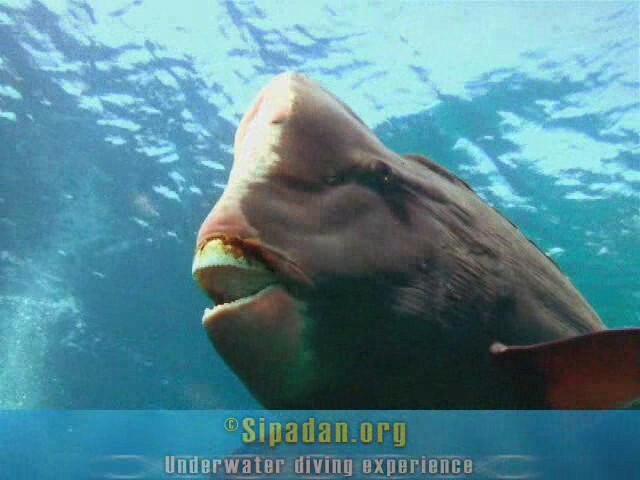 Wow, scuba diving in the middle of a group of giant bumphead parrotfish is probably the most amazing experience in Sipadan ! 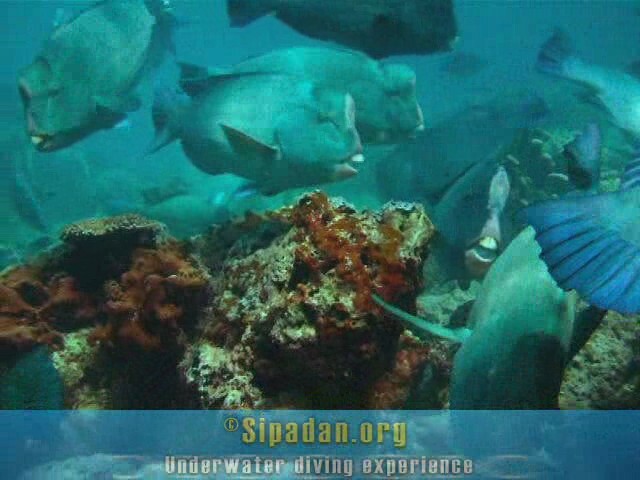 In those videos, shot in February 2010, you can see the fish eat the hard corals making a lot of noise. Duration : 1 min 55"
Nice video in the middle of the bumphead group of fish. Duration : 1 min 14"
In this video, you dive with the bumphead... shot from inside. Duration : 1 min 42"
Yu can see the webmaster diving in this video. I was follow the fish and as you can see they reject the pieces of coralsalmost as fast as they eat it... creating by this process the white sand.